Eltherington will be closing for the Christmas festivities on Thursday 22nd December 5pm and will re-open for business on Tuesday 3rd January 8.00am. Customers are being advised of the latest ordering times to ensure a pre-Christmas delivery. Stockholding items should be ordered by 12.00 noon on Monday 19th December to ensure a pre-Christmas delivery. Alternatively, customers that choose the next day delivery option can place orders for stockholding items up to 12 noon on Wednesday 21st December to ensure a delivery before Christmas. Terms and condition apply and next day deliveries are to select postcodes* only, please check at time of ordering. Customers can also collect stockholding items from Eltherington’s Sales Counter on Dansom Lane South, which will remain open as usual until 5pm on 22nd December. The standard opening hours for the Sales Counter is 8.30am – 5pm Monday to Thursday and 8.30am – 4pm Friday. Any orders placed beyond the pre-Christmas cut-off times will be scheduled for delivery in the New Year. 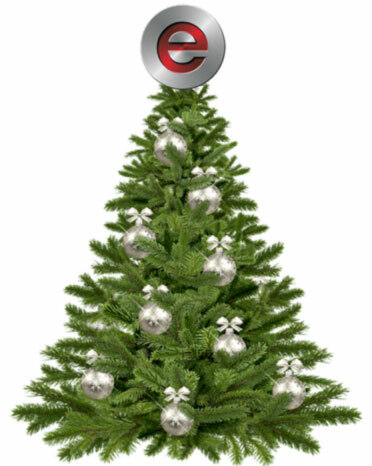 Eltherington’s customer service team will be taking orders up to 5pm on Thursday 22nd December. 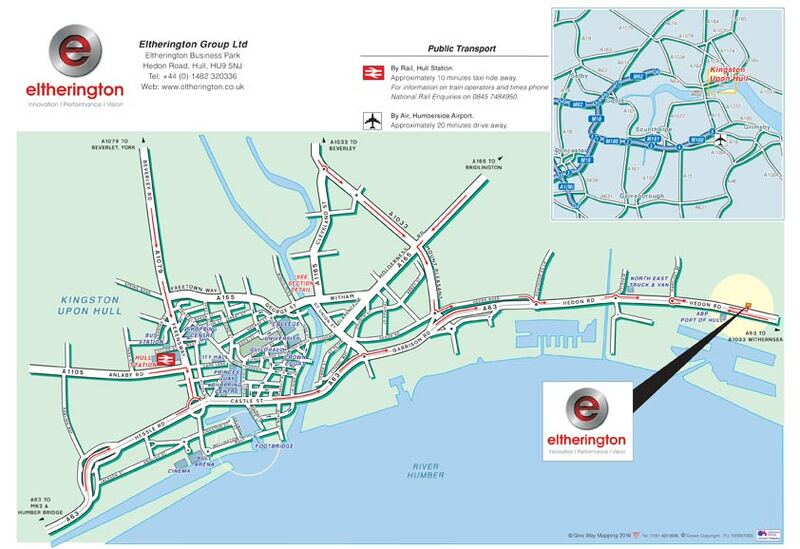 Eltherington has completed the first phases of transferring its entire operations to a new site on Hedon Road, Hull. The move follows a multi-million pound investment by the company in its advanced new manufacturing, warehousing and administration centre at this well-known location for businesses. Eltherington is ensuring that all its customers are kept up to date with developments, which includes a ‘How to find us’ visual of its new headquarters. The existing telephone number – 01482 320336 – will transfer to the new site, along with all emails and faxes. The company’s leisure home solutions, which manufactures a wide range of exterior cladding, windows, doors and ancillary products for touring caravans, motor homes and holiday homes, has completed most of the move. A second phase of this was completed in August when two existing glazing factories moved into one new 9,000m2 purpose-built unit. 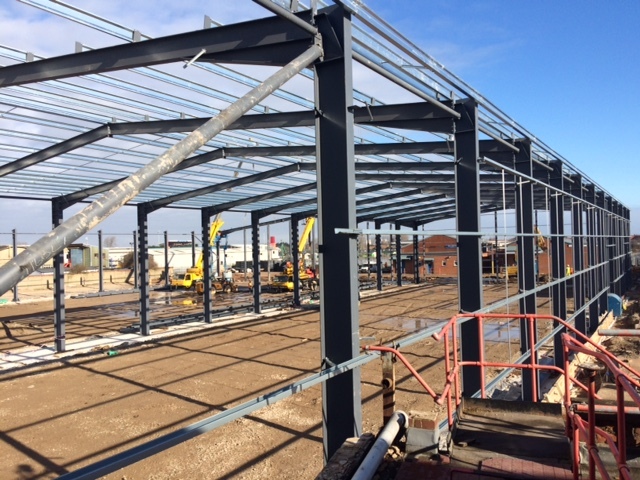 Transfer of its leisure cladding factory is currently underway and by the end of 2016 the leisure solutions business will be managed and produced from the new Hedon Road site. The sales counter, popular with fabrication businesses, contractors and DIY’ers across the region, has been moved to larger premises on the Dansom Lane site with the added benefit of off road parking enabling a smoother service when customers are collecting their orders. Eltherington’s architectural, modular and stockholding businesses will remain at the Dansom Lane site until late 2017. 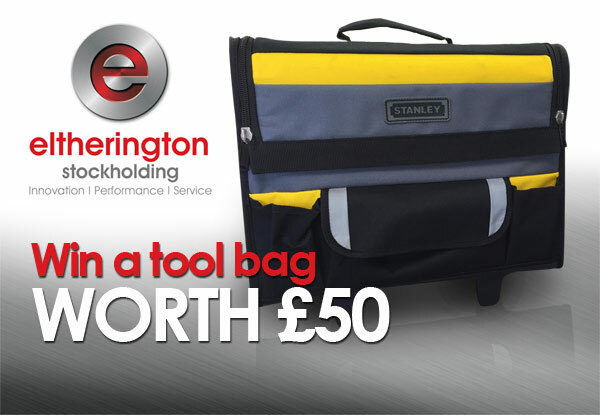 Eltherington, a leading alumnium and PVC-ue stockholding company, has announced that it is offering entrants an opportunity to win a Stanley tool bag worth £50*. Contestants can enter simply by liking Eltherington’s stockholding Facebook page. The winner of the Stanley tool bag will be selected on 10th November. Eltherington Aluminium Group is the leading supplier of architectural aluminium and bespoke manufacturing services to the architectural, construction, caravan, portable and modular building sectors. The company also operates a stockholding business and Sales Counter at its manufacturing and office facility in Hull. It has one of the largest stockholding portfolios in the North of England, offering a vast choice of aluminium and PVC-ue ranges. Many of the products available, such as wall board sections, are available from stock in a greater breadth of sizes and lengths than others in the market, which gives customers greater choice. Essentials such as angle, sheet and 5 bar tread plate are also always available from stock. Customers are assured of excellent value for money because Eltherington buys in bulk – using the materials in its own manufacturing facility – enabling customers to access better value. The winner of the tool bag won’t be the only lucky person - all customers that source from Eltherington’s Sales Counter on Dansom Lane South will have access to some winning deals on quality, value and service. Eltherington has operated a Sales Counter in Hull for since 1961. As well as a huge range of products available from stock, the highly experienced staff offer cutting and fabrication services, allowing customers to order bespoke solutions, whilst gaining all the benefits of buying direct from the manufacturer. As well as being able to collect products from the Sales Counter, Eltherington offers same day and next day delivery options (terms and conditions apply). To visit the Sales Counter, go to Dansom Lane South, Hull, HU8 7LA. The Sales Counter is open 7am – 6pm Monday to Thursday and 7am – 5pm Friday. Eltherington fabricated high quality bespoke aluminium window pods as well as assisted on specification. C4DI’s window pods create a defining architectural feature on this striking building that match the high-specification throughout. Leeds based Enjoy Design Ltd were the architects, whilst Eltherington designed and manufactured the window pods at its 6 acre manufacturing site in Hull. Bronze effect Syntha Pulvin Coated architectural aluminium, formulated to decorate and protect from extreme weather and UV exposure, was used to manufacture the window pods. The outwardly projecting pods execute a striking aesthetic, which announce the new point of arrival for visitors to C4DI, a centre that helps tech companies grow, and big businesses innovate. It was the crisp, clean and lightweight yet durable properties of Eltherington’s Syntha Pulvin Coated architectural aluminium that initially attracted project architects Enjoy Design. The design of C4DI has the ability to stop people in their tracks in many ways, not least because it demonstrates how an architectural metalwork solution from Eltherington can create a dramatic building that looks impressive during the day and, with appropriate lighting, acts as a beacon at night. Eltherington operates a 6 acre state-of-the-art manufacturing facility in Hull and is able to supply a wide range of standard and bespoke solutions for building facades, roofline, column casings, perforated panels and spandrel panels along with internal cladding. Eltherington manufactures a wide range of high quality architectural facade and roofline solutions. These are available in a wide range of materials and finishes, including aluminium, steel, Corten, stainless steel, copper and zinc. The company has supplied UK and overseas projects as diverse as Centurion House in London, The Edinburgh International Conference Centre, London Underground and the RIBA award-winning London Southbank University. Hull-based Eltherington has reported a surge in demand for its aluminium wall board sections since listing them on its website. The entire range is now just a click away or customers can refer to the recently updated Aluminium Stockholding catalogue. Demand has also been boosted because Eltherington offers one of the widest ranges of wallboards in the North of England, which means that once customers try Eltherington, they rarely shop elsewhere. The range comprises ½”, ¼” and 1/8 sections with options covering Internal corners, External corners, Continual runs and Edge cappings. The extruded aluminium profiles are manufactured to the highest standards and anodised to AA5. Along with wall board sections, Eltherington offers an extensive range of aluminium stockholding items including angles, bars, sheets and channels, plus other profiles and metals. 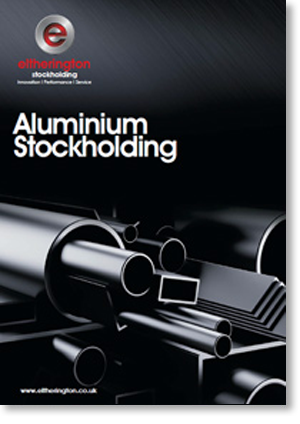 The aluminium range, like the PVC-Ue stockholding offer, also has its own dedicated brochure, which is available to view and download on the company’s website, or request from customer services. The company purchases large quantities of stockholding components for its architectural and leisure home business which ensures that it is able to provide customers with excellent value for money. As a business, Eltherington is going from strength to strength with a recent £1m+ investment in a new manufacturing, warehousing and office facility on Hedon Road. More recently, this was followed by a further investment of £700,000 in latest state-of-the-art bending and routing equipment. Eltherington currently employs approximately 200 people. It operates a Sales Counter on Dansom Lane South where customers can source the entire range of stockholding items, along with the wallboard sections. The company offers a specialist fabrication and bending service in a wide range of materials, giving customers the option of fully bespoke, high quality solutions. Eltherington, leading supplier of high quality metalwork solutions to the architectural and leisure home sectors, has invested over £700,000 in state-of-the-art bending and metal forming equipment. These high-tech centres of excellence follow on in quick succession from a multi-million pound investment in a new manufacturing and office facility on Hedon Road in Hull. The innovative new equipment allows simultaneous CNC-controlled movement of multiple machine axes, which increases production capacity whilst maintaining folding accuracy. Already on stream, the new equipment is ensuring a rapid turnaround of orders by facilitating an extremely smooth and highly dynamic folding process. This has already resulted in a measurable increase in throughput and a substantial expansion of machine capacity. Even the smallest folds, of as little as 15 mm x 15 mm with a +/-0.5° accuracy, will be possible with the new equipment, with a maximum folding angle of 143° in metals up to 3mm thickness. This will provide the company and its customers with significant advantages in terms of design flexibility. This latest investment by Eltherington, which has been a leading manufacturer in Hull for the last 55 years and currently employs approximatley 200 people, will make a step change in its metal bending and folding capabilities. Being the most advanced bending and folding equipment currently available in the world means that it will be able to offer customers a greater range of standard and bespoke solutions. These include rainscreen cladding, roofline, column casings, perforated panels, window trims and other specialist fabrications. Eltherington’s architectural metalwork and leisure home solutions are widely specified to create striking designs that perform over the long term. All its architectural metalwork solutions are offered in a wide range of materials and finishes, such as anodised natural satin silver BS 3987, metallic Syntha Pulvin polyester powder coat 60 microns, plus anodised, pre-painted and duo ‘2 tone’ finishes. nvesting in the new machinery will help us build on this as our company continues to grow.” Eltherington manufactures high quality metalwork solutions for the architectural, modular building and leisure home sectors. The company has supplied a number of prestigious projects including perforated metallic aluminium cladding for a new 27 storey complex in the heart of London, Polyester powder coated cladding for the new 11 storey headquarters of the LBBW Bank, Moscow, and internal and external facade solutions for Edinburgh International Conference Centre. Hull based Eltherington, supplier of architectural aluminium and fabrication services to the construction, modular and leisure home sectors is delighted to report its multi-million pound investment is on schedule to be completed in July 2016. The second phase of the development will see two glazing factories move into one new 9,000m2 factory in August and Phase 3 will move its leisure cladding factory into the same building. By the end of 2016 their Leisure business will be managed and produced from the new Hedon Road, Hull site. This investment is helping provide jobs for the local area and because Eltherington is keeping the main façade, the 1930s design of the building will be retained. Over the next two years, the Eltherington Group will be developing the Hedon Road site, formally “Seven Seas”, further with another purpose made factory to house its aluminium stockholding and architectural businesses. The final phase will move all employees and processes to their new 11 acre site, which will mean all former buildings the company occupied at Dansom Lane South, for over 55 years, will be sold. Some of the factories on the existing site have been sold already. 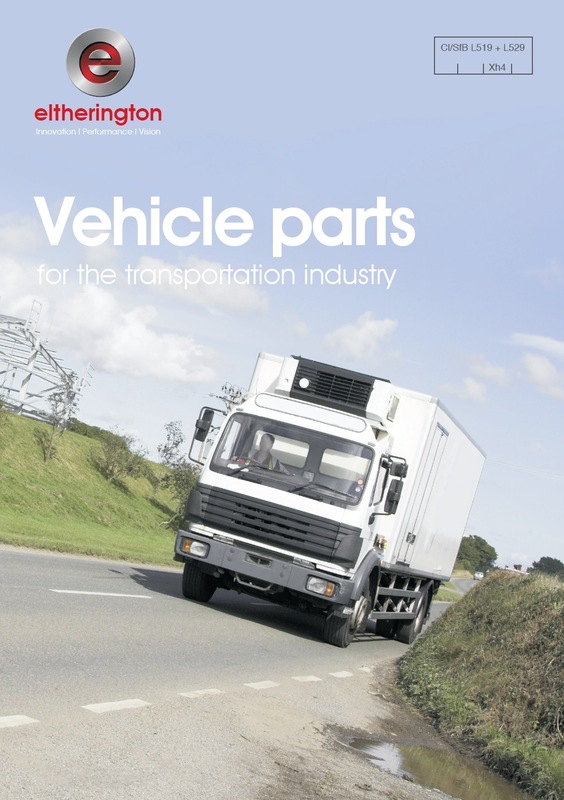 The new Eltherington Vehicle Parts brochure is already proving popular for the Hull-based company, thanks to its highly informative and visual format. Showcasing a wide range of essential stockholding parts along with fully bespoke solutions in mill finish and polyester power coating for long term durability, it provides customers in the transportation industry with a one-stop-shop. Bespoke vehicle parts manufactured by Eltherington include wheel arch doors, grill pans, fridge doors, waist rail, hinge cover plates plus many more. Complementing its bespoke capabilities are competitively priced steel and aluminium stockholding tube, bar, plate and angles as well as essentials such as 5-bar treadplate and gripping floor plate. With over 40 years’ experience in the industry, Eltherington supplies high quality fabricated products to leading businesses such as Tesco, Asda, G4S, Network Rail and the NHS. 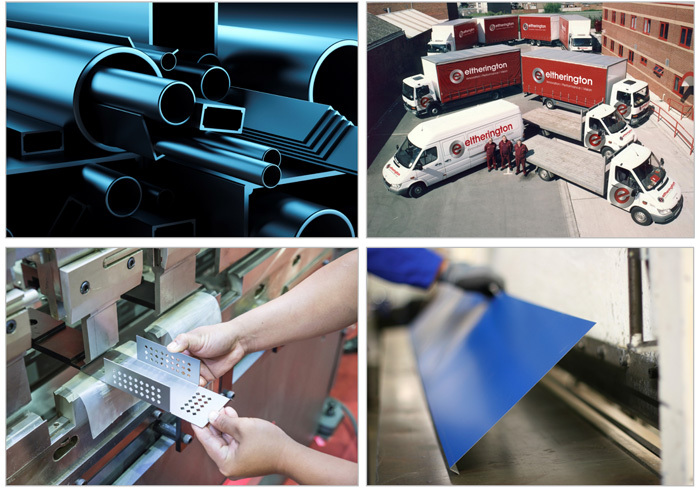 Eltherington is one of the UK’s premier fabricators of aluminium and stainless steel products for the refrigerated, security and retail vehicle sectors. Because the company is already sourcing bulk quantity of metals for its stockholding business it is able to offer customers excellent value for money. The updated brochure also showcases a dedicated section on Eltherington’s expert fabrication services. An increasing number of customers are choosing this option due to the company’s ongoing investment in state-of-the-art equipment, which allows them to provide customers with high quality, precision parts. Eltherington has invested in a suite of press brakes, along with specialist machinery for punching, drilling, sawing, bending and bonding, which offers customers a fully bespoke service. Its production facility in Hull uses advanced MIG/TIG welding facilities that are operated by time served staff with unbeatable experience. 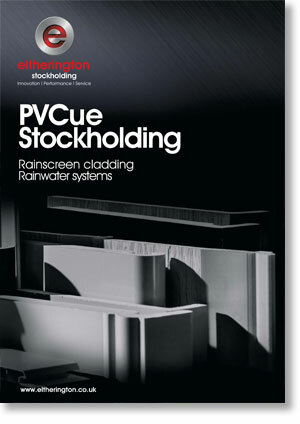 With 20 product-packed pages, it’s the biggest and best Eltherington PVCue stockholding catalogue yet. Full of all the essential Rainwater and Cladding products that customers have come to know and trust, along with the value for money benefits of buying from a trusted and reliable supplier, there’s no better or easier way of sourcing over 1,000 quality building plastics products. The updated catalogue (March 2016) features an improved layout, allowing incorporation of installation instructions for both leading branded guttering as well as Kavex and Kerrafront cladding, making it the tradesperson’s best friend on site. Eltherington makes it even easier for customers to find the items they need by retaining an image of each product next to the description and codes. Customers can then collect products at Eltherington’s Sales Counter on Dansom Lane South or, alternatively, order via the sales office for same day or next day delivery (terms and conditions apply). The company operates its own dedicated transport fleet for stockholding, which means customers benefit from a flexibility, responsive delivery service. Eltherington is also one of the few stockholding companies in the UK to operate its own Sales Counter, allowing customers the flexibility to collect for immediate availability, or benefit from advice and guidance from one of the highly experience members of staff. Lighter nights, flowers in bloom and some great deals on Aluminium Sheet & Extrusion stockholding products all mean that spring has come early for Eltherington customers. The company offers fantastic customer service, FREE delivery* and a comprehensive cutting services from its 6 acre site in Hull. So confident are the stockholding team of offering some ‘blooming good deals’ that if a customer sees an item cheaper elsewhere, they will try to match or even beat that price. “We are encouraging all customers to check out our prices and service offered by our stockholding business,” said Antony Eltherington, Managing Director. “Our stockholding business is definitely worth a look, not because of the wide range of products we have, not because of the exceptional service, but because we are good people to do business with. Eltherington has made significant investment in its stockholding business over the last two years, including a comprehensive new catalogue, which is available in printed format or online, a wider range of products and more cutting and fabrication services. Eltherington’s fabrication facility offers welding, sawing, guillotining, pressing and bending, plus many others. The company has invested in latest MIG/TIG welding, along with de-coiling and guillotining machines. It supplies to a wide range of sectors including transport, building, general manufacturing and sign making. The company operates its own dedicated transport fleet for stockholding, which means customers benefits from a flexibility, responsive delivery service. Eltherington is one of the few stockholding companies in the UK to operate its own Sales Counter, allowing customers the flexibility to collect product for immediate availability, or benefit from advice and guidance from one of the highly experience members of staff. New manufacturing techniques, advances in materials and evolving tastes of building users, all mean that the built environment is developing rapidly, so monitoring architectural trends is a key part of what we do at Eltherington. Our product development team monitors the latest emerging designs, which means that we are able to offer customers more choice in terms of materials and finishes. As part of this ongoing process, we share five of our design predictions for this year. At the Batimat Show in Paris, perforated panels were widely used to add a stunning visual aesthetic to many of the building concepts on display. Our own perforated metal solutions are ideal for creating a contemporary design element in all architectural projects looking to make its mark on the build environment. Perforated panels have the ability to fuse different visual elements, depending from which angle it is viewed. This ability to create an ever changing aesthetic is what has made perforated panels so popular recently. They can be used to over clad an existing building or create a sheer, elegant façade on a new build. Eltherington perforated panels have been used for a variety of striking projects including Redcar Community Heart and in the education sector atTresham College. Click here to view our range of perforated panels. In the middle to late 19th century, buildings often had an industrial aesthetic, which was, for obvious reasons, often referred to as brutalist architecture. Flourished from the 1950s to the mid-70s, it was characterised by a ruggedness and frequent repetition of shapes such as the Park Hill flats in Sheffield http://bit.ly/1T4cxAi Concrete was the preferred choice of material. Since then, design preferences have move on, with a desire for more refined elegant buildings that retain a link to nature. As a result, we have already seen this feed through to specifications for brushed, grained and linen effect on our architectural metalwork, helping to create buildings that we think look much better and that visually integrate with the natural environment. A great material for achieving this look is Corten steel, which offers a natural, weathered look from the day that it is installed. Others include our textured finishes and colours, all of which can be selected to complement or contrast the natural environment. Eco friendly and sustainable architectural design has become a mandatory requirement on most projects in recent years. We predict that this movement towards ‘low carbon’ design will continue to grow in 2016 as clients and developers look for designs that have a reduced environmental impact. Aluminium has always lead in this areas because it is fully recyclable and can be recycled any number of times without losing any of its physical or visual properties. Many architectural designs use a neutral colour palette of whites, greys and pale pastels but we predict that brighter colours will begin to integrate into design this year. A key trend for both interior and exterior design is gold and gold tones which contrast well with the steel grey and white colours that are more commonly used in architecture. We supply gold anodized aluminium to many customers, which is ideal for adding colour to any design. Our other predictions for colour include Gold Anolok, Anodic PPC and special Metallic. Making a building stand out can be challenging, but the integration of patterns, along with colour, can create a unique design. Many contemporary designers use them to define space and add depth, and this can be seen on a unique project that we supplied for a new Tesco store in Rotherham. With 28 fully-illustrated pages, the newly updated Eltherington Aluminium Stockholding catalogue has made it a busy start to the New Year for this Hull-based company. The new catalogue is packed full of all the essential sheet, profile, and plate products that customers have come to know and trust. With all the value for money benefits of buying from one of the UK’s largest independent stockholding companies, once tried, customers rarely shop elsewhere. Along with an improved layout, the brochure features a number of new products, which build on Eltherington’s commitment to be a one-stop-shop for stockholding items. Heading up the new product entry are two full pages devoted to ½, ¼ and ⅛ Wallboard sections, including assembly instructions. 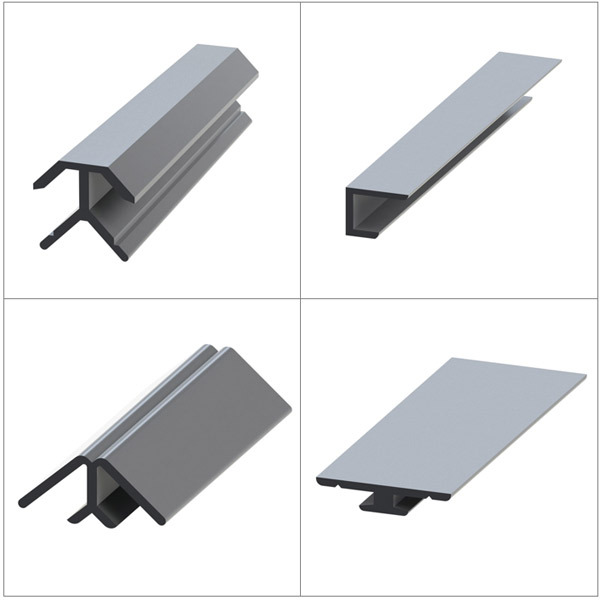 These extruded sections can be used in conjunction with laminate faced panels for internal wall applications. The range includes Internal and External Corners, H Joint, End Cap and Quad End. The updated stockholding brochure also showcases a dedicated section on Eltherington’s bespoke cutting and fabrication services. An increasing number of customers are choosing this service because it improves efficiency in their own manufacturing operation, which saves them both time and money. ‘Hints and tips’ from members of the highly experienced stockholding team throughout the brochure improves the shopping experience further. Their comments from each caricatured member of the team highlight things such as complimentary products that customers may also need to order - yet another great time saving idea from Eltherington. This shopper-friendly theme is carried throughout the brochure with a dedicated section on finish options, including Polyester Power Coating (PPC), Anodising and Polishing. The updated brochure features 18 main product sections ranging from sheet, mesh, flat bar and channel, through to floor and stair section, plus gutter. An index allows items to be found within seconds, whilst contact numbers enable customers to call the Sales Counter on Dansom Lane South directly, where the products are stocked, or arrange same day and next day delivery*. There was a profusion of perforated panels at all the building design shows in Europe last year, which is a strong indication that they will be widely specified on projects during 2016. Here at Eltherington we have responded to this trend by creating a new Specification Guide for perforated solutions. It is packed with one of the widest selection of designs currently available in the UK, along with our full range of materials and finishes. Of course, we have been specialist manufacturers of perforated solutions for many decades and the new guide simply brings all this together as an easy-to-use reference for specifiers and designers. 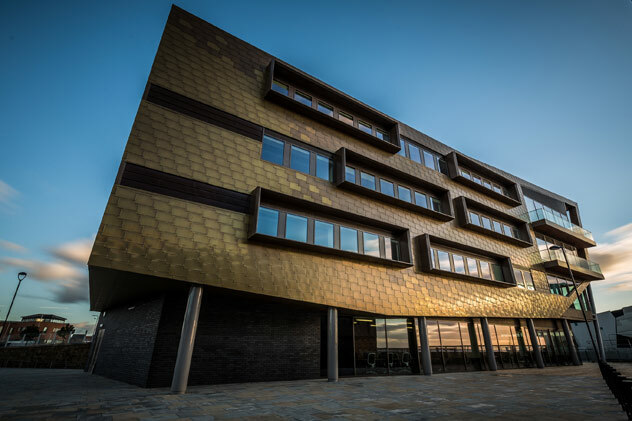 From sleek, linear perforated aluminium panels to more intricate stainless, Corten or zinc panel designs that reflect the natural world, we have the capabilities to make your building stand out from the crowd. We make all of our perforated solutions in-house using state-of-the-art production equipment in our ISO9001 facility in East Yorkshire. Eltherington is a member of The Centre for Window and Cladding Technology (CWCT), a leading provider of information to anyone involved in the design, specification or installation of building envelopes. 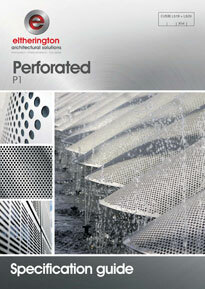 To order a copy of our new Specification Guide – Perforated, email us on: info@Eltherington.co.uk or call 01482 320336.